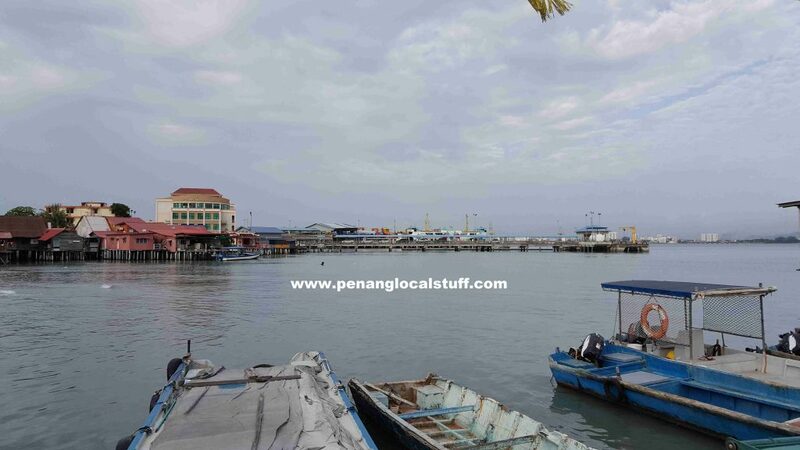 Chew Jetty is one of the Clan Jetties located along Pengkalan Weld (Weld Quay), Georgetown, Penang. 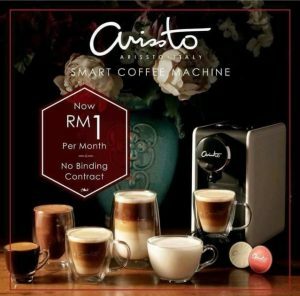 It is located near the Penang Ferry Terminal. The houses at the Clan Jetties are built on stilts. I visited Chew Jetty together with my family on Saturday, 21 July 2018. 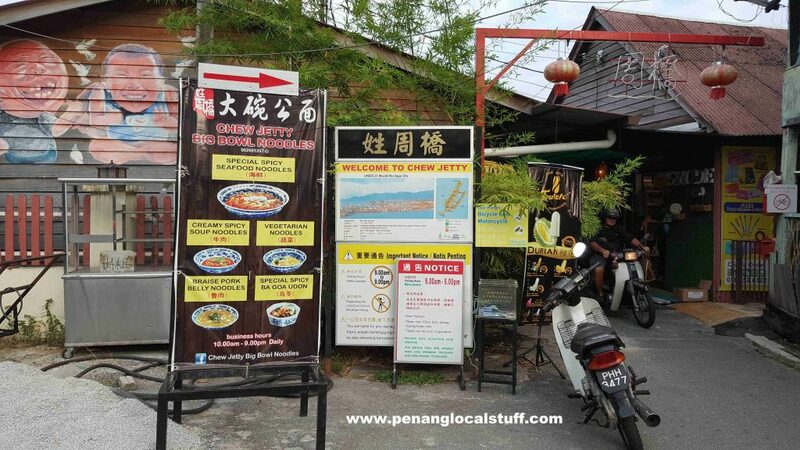 There is a sign at the entrance providing some information about Chew Jetty. It was established in the mid-19th century, and the ancestors originated from Xinglinshe Village, TongAn District, Quanzhou Prefecture, Fujian Province, China. 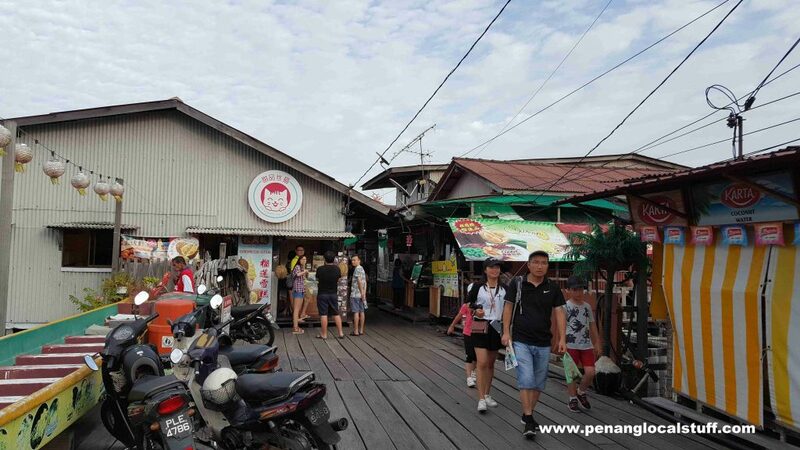 The visiting hours of Chew Jetty is from 9AM to 9PM. There is also a sign advertising the Chew Jetty Big Bowl Noodles. 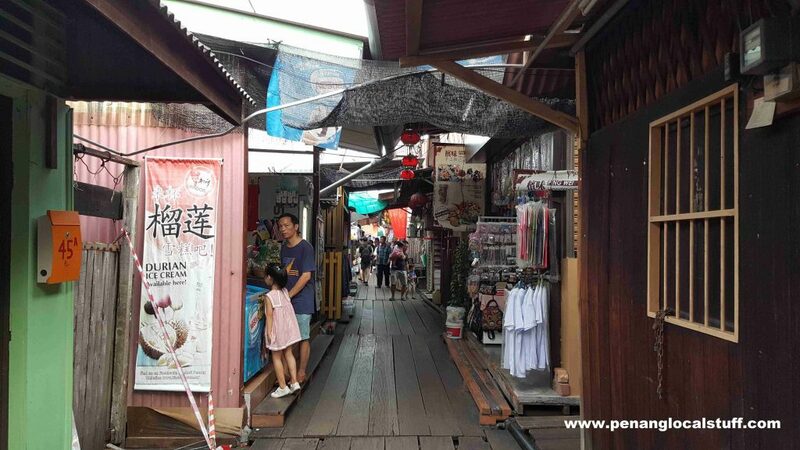 There are many small shops at Chew Jetty, selling clothes, bags, souvenirs, snacks and ice cream. 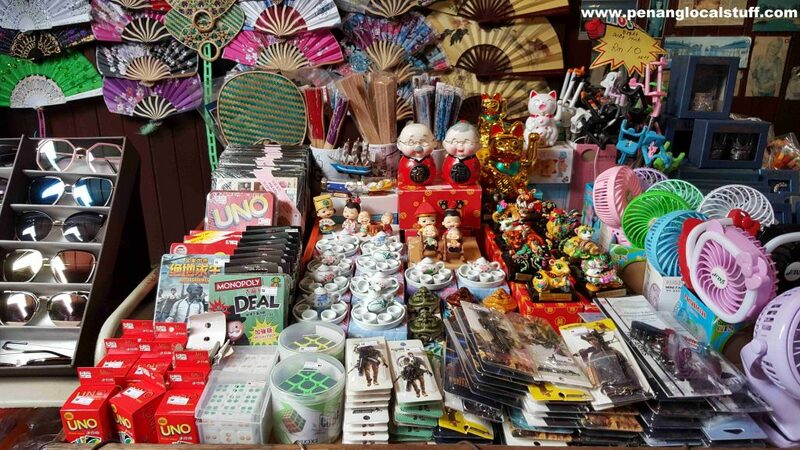 The prices of items sold here are quite reasonable. As we walked along, I noticed that visitors to Chew Jetty consist of a good mix of locals and foreigners. Mid-way through Chew Jetty there is an open space. 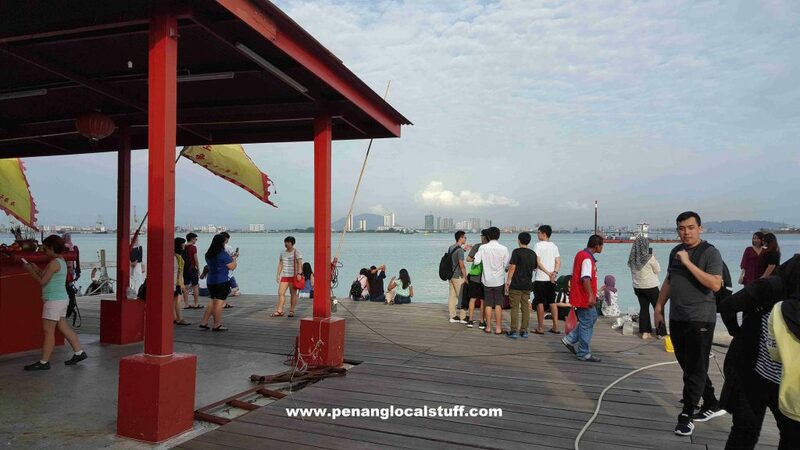 The Penang Ferry Terminal can be seen from here. 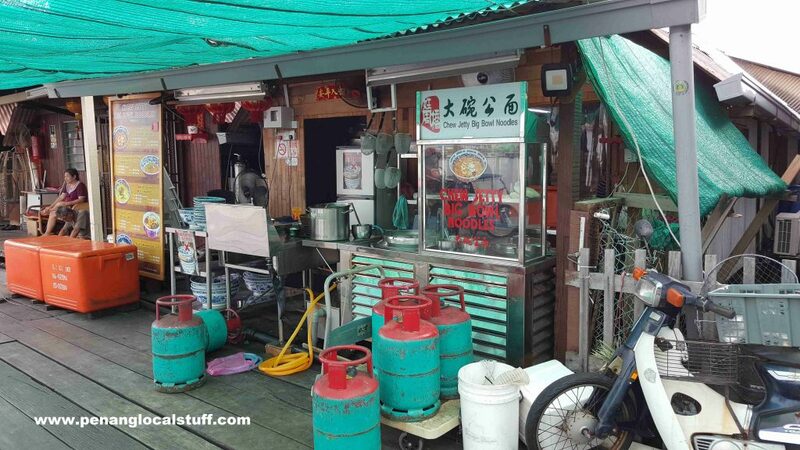 The Chew Jetty Big Bowl Noodles is also located in this area. There is a temple towards the end of Chew Jetty. The open area in front of the temple is a great place for visitors to relax and enjoy the nice view of the sea. The Penang Ferry Terminal, Penang Bridge, and Mainland Penang are visible from here. Overall, I enjoyed the trip to Chew Jetty very much. 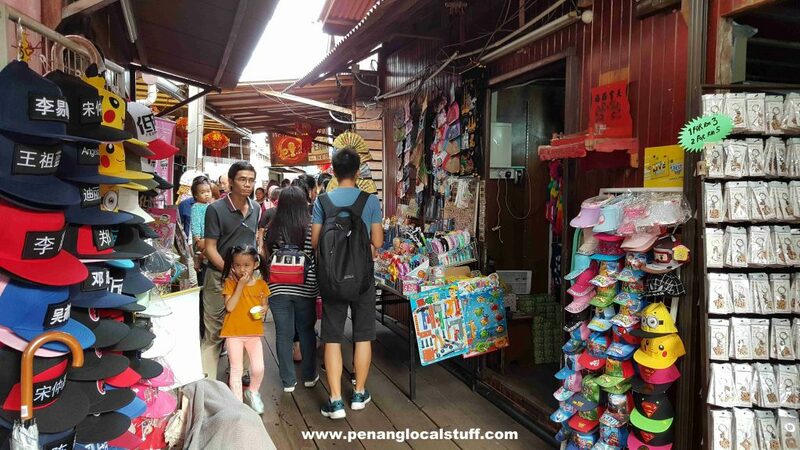 It provides visitors with a feel of one of the old Chinese settlements on Penang island, even though many of the houses had been converted into shops. 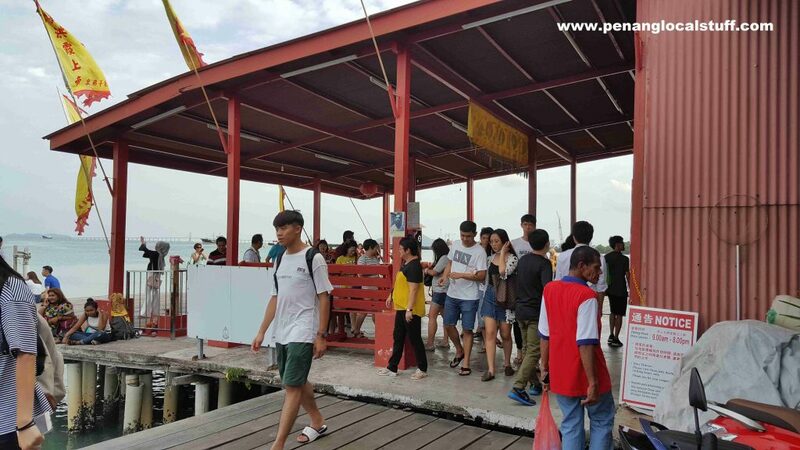 The Clan Jetties are definitely one of the must-visit places for tourists in Penang.